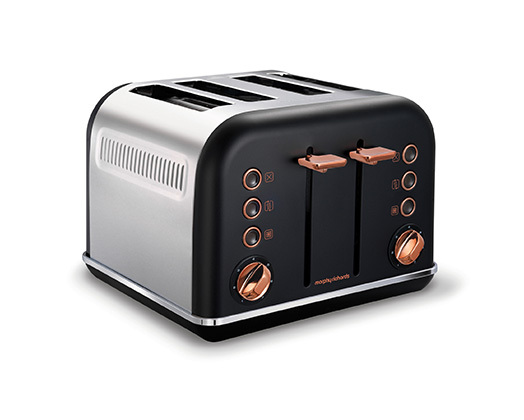 Home Products Morphy Richards Toaster 4 Slice Stainless Steel Black 1800W "Accents Rose Gold"
Morphy Richards Toaster 4 Slice Stainless Steel Black 1800W "Accents Rose Gold"
Morphy Richards presents their beautiful Accents Toaster. A 4 slice toaster with a traditional design in a sleek brushed, black steel body. With its 4 variable width chambers, dual browning control and high-lift facility the Accents Toaster is a must have in any kitchen.